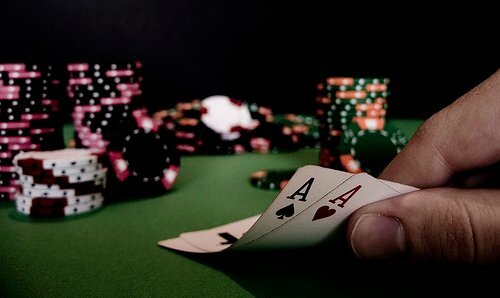 When playing at online poker sites you may be entitled to special rakeback programs. Rakeback programs are a way of rewarding the player for using the site by giving him back some of the rake that was taken during the play. In online poker, the rake is the little amount that the poker site will skim off of the top of the jackpot in order to pay for the costs of hosting the game. Calculating how much rakeback you’ll receive will depend mostly on the amount of rake you pay each month. Many online poker sites use a dealt rakeback system because it is an easy way to calculate how much rakeback you’ll receive. Technically, the only person paying any rake at the table is the player who won the hand, because the amount that he wins will already have the rake subtracted from it. However, with a dealt rakeback system, any person who contributes to the pot will be entitled to rakeback. Calculating how much rakeback you’ll receive with a dealt rakeback system will depend on how many hands you play per month, how much rake is taken out from the poker site for each hand and how many players there were at the table. In a dealt rakeback system, a rake of $2 would count as $0.50 if there were four players at the table and $0.25 if there were eight. At most online poker sites you only need to have played in the hand to have it count for rakeback, so even if you fold you can still benefit from rakeback. Tournament play is factored differently when calculating how much rakeback you’ll receive because you are not paying rake on tournament hands. At most online poker sites you will still receive money towards your rakeback as your tournament fees will be used instead of rake. The amount you will receive from playing in tournaments will depend on the rules of the poker site and the type of tournament you’re playing. When calculating how much rakeback you’ll receive, your monthly gross revenue is usually considered. This is the total amount of rake you accumulated for one calendar month that you played at the online poker site. Depending on the site’s rules this will be either calculated using the dealt rakeback or contributed rakeback system. Once your monthly gross revenue is totaled, you will be awarded with a certain percentage of the rake you paid put back into your poker account. This percentage will be determined by the rules of the rakeback program you belong to. At some online poker sites, any bonus money that was paid towards rake will be deducted from your monthly gross revenue. Once you have a handle on calculating the amount of rakeback you’ll receive you can plan a strategy to receive a bigger bonus. It’s good to find poker sites offering a dealt rakeback system because you can receive rakeback from hands where you folded as long as you were dealt cards. Look out for special games and promotions that can increase your rakeback percentage. The more you play using any rakeback system, the more you will get back, so multi-tabling and raising your limits are good investments. It pays to belong to VIP clubs when calculating how much rakeback you’ll receive, because you can sometimes increase your rate of rakeback as you raise your level of status in the club.